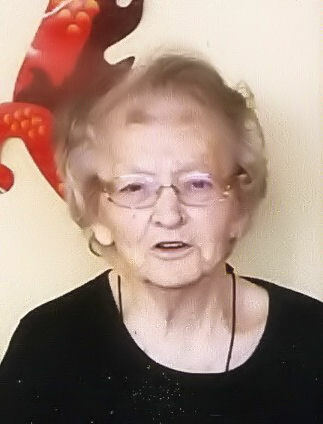 class="obituaries-template-default single single-obituaries postid-305815 group-blog masthead-fixed full-width singular wpb-js-composer js-comp-ver-5.7 vc_responsive"
Pauline Coover, 94, of Lexington, Nebraska, died Friday, April 20, 2018, at Brookdale Senior Living in Lexington. She was born September 3, 1923, in Oconto, Nebraska, to Franklin and Ada (Newhouse) Hemphill. She was a graduate of Thedford High School. Pauline was united in marriage to Dale Coover on November 15, 1945, in Broken Bow, Nebraska. Three sons were blessed to this marriage; Jerry, Don, and Frankie. She taught country school for several years and then finished out her working career as Postmaster in Smithfield, retiring in 1990, when she moved to Lexington. Pauline was a member of the American Legion Auxiliary and Eagles Auxiliary. She loved Cardinals, playing Bingo, gambling, puzzles, and crocheting. Family get-togethers were always a special time for her, and she had a great sense of humor. She will be very missed. Survivors include one son; Don (June) Coover of Lexington, Nebraska; two sisters, Clara Lantz of Lexington, Nebraska, and Kay Naylor of Cozad, Nebraska; four grandchildren; Don (Ann) Coover, Jr. of Holdrege, Nebraska, Lavennia Coover of Dennison, Iowa, Raebecca Coover of Lexington, Nebraska, and Dale (Brina) Coover of Overton, Nebraska; thirteen great-grandchildren, and six great-great-grandchildren; as well as nieces, nephews, extended family and friends. Pauline was preceded in death by her parents; sons, Frankie & Jerry; three brothers, Dale, Doyle and Wayne; and one sister, Annie. Funeral Services will be Wednesday, April 25, 2018, at 10:30 a.m. at Reynolds-Love Funeral Chapel in Lexington. Visitation will be Tuesday, April 24, 2018, from 5-7 p.m. at the Reynolds-Love Chapel. Pauline’s body will then be cremated with inurnment held at a later date. Reynolds-Love Funeral Home in Lexington is honored to be assisting the family with arrangements. Please share online condolences with the family by visiting: reynoldslovefuneralhome.com.